The EEA briefing ‘Marine protected areas’ shows the EU's progress on achieving the Aichi target 11 of designating at least 10 % of Europe’s seas as marine protected areas. These areas are set to safeguard marine biodiversity and ecosystems. From 2012 to 2016, the coverage of marine protected areas improved in nine out of ten European regional seas, the assessment shows. By 2016, 10.8 % of Europe’s seas were covered by protection zones, ranging from 27.1% of the Greater North Sea to 2.6% of the Aegean-Levantine Sea. The assessment highlights that protected areas cover coastal waters much better than offshore waters and gaps still exist. This means that the network is not yet fully covering all marine habitats. Moreover, half of the protected areas are under 30 km2, which means that many of them are too small to fully support the functioning of the marine ecosystems and the services they provide to our societies. Previous EEA assessments have shown that the ecological state of Europe’s seas is not good, mainly due to a wide range of pressures, including overfishing, climate change and chemical pollution. 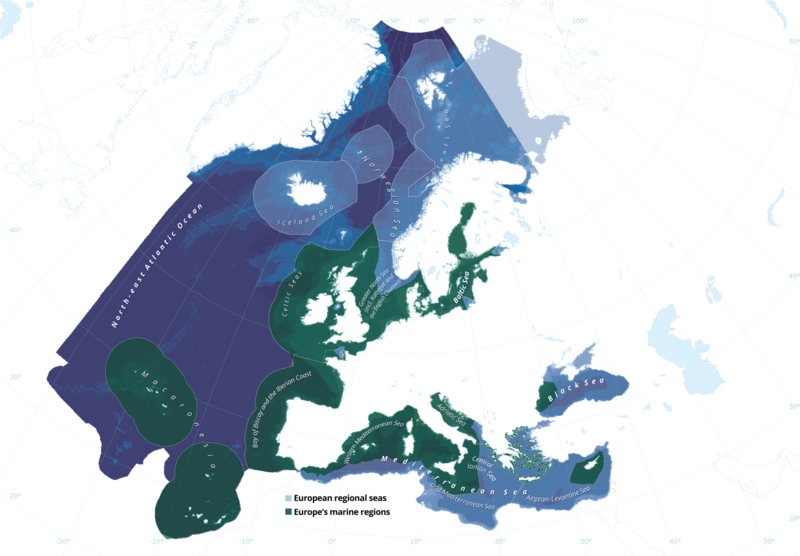 Marine protected areas in Europe's regional seas Marine protected areas (MPAs) are geographically distinct zones for which protection objectives are set. They constitute a globally acknowledged system for safeguarding biodiversity and maintaining marine ecosystem services. For references, please go to https://www.eea.europa.eu/highlights/eu-reaches-the-aichi-target or scan the QR code.